Founded in 1993 to offer electrical and mechanical accessories for the yachting sector, MZ Electronic celebrated 25 years of activity last year. In the past 10 years the company has grown considerably by purchasing Orvea and Officina Navale Nanni and creating the wide range of Italwinch winches. Today MZ Electronic has, in addition to its Monza headquarters, a subsidiary in Viareggio, home to the very best of Italian shipyards. At the last Genoa Boat Show, the company presented three new launches that extended its already wide range of products designed to satisfy the requirements of yachts of all sizes (from 5 to 80 m). Here are the details. 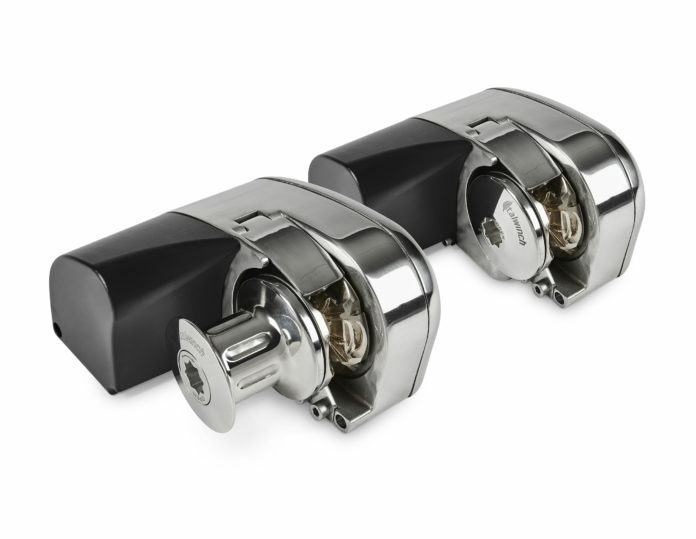 Italwinch manoeuvring thrusters are the result of careful design and of more than 20 years know-how. Conceived and made entirely in Italy, they are very high quality; special attention has been paid to details and to the choice of components. Italwinch manoeuvring thrusters have a motor in aluminium, a steel casing and propellers in Nibral. These thrusters, all with four blades, are the best combination of efficiency, quiet running and energy saving. 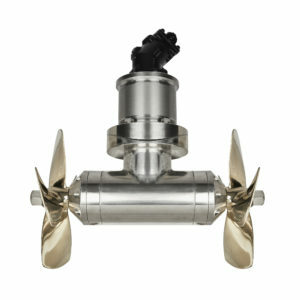 The version with two counterrotating propellers offers maximum efficacy in mooring operations. The aluminium motors have been designed to ensure high performance in any conditions, and assuring at the same time a long life. The range has been developed specifically for superyachts and megayachts, with thrust ranging from 250 to 2100 Kgf, ideal for vessels of up to 85 m. Motors may be electric or hydraulic; they are available for both stern and bow mounting thanks to special fixing systems and tunnels available in fibreglass or steel versions. Great care was also taken in the choice of remote controls, so that manoeuvres in port can be handled in the most efficient way. “With this new Italwinch line we aim to satisfy the requirements of the luxury yacht market, in fact it is dedicated exclusively to super and mega yachts. – says Alessandro Fossati, company sales manager – The idea is to offer our customers, but also potential customers, complete winch plus thruster packages, and we believe this product is highly innovative both technologically and aesthetically“. As the latest product from Italwinch, fruit of the brand’s technology and experience, the IKI project completes the range of anchor winches. It was created to optimise space on board and to offer a very practical winch for ordinary maintenance and it’s specially designed for boats up to 9 m. With a housing in AISI 316L stainless steel it is compact and functional with every detail cared for, and is suitable for installation below decks thanks to its small size. Attention was also paid to its design, which is elegant, and among its features are also a watertight engine housing and a metre counting sensor. IKI can be used with chain up to 8 mm and has a line tensioning system. In 2018 were presented two others models, 12 V 18 A and 12 V 25 A, both with three ports in place of the proceeding 2+1. These are distributed internally by diodes and it is not necessary to connect an external distributor. Highly reliable and efficient, they have short-circuit, excess voltage and excess temperature protection and are compatible with lead, gel and AGM batteries. Other characteristics include: inrush current limiter; LED indicator of battery charge state and any alarms; EMI filter against disturbances on the AC line; automatic charge restarting function when the battery is excessively discharged. To support the operation of the anchor winch and manoeuvring thrusters, Italwinch has designed a hydraulic line. The system is powered by a generator consisting of a tank and pump. Everything is managed by a control group consisting of valves that provide the correct pressure for each user group (from 1 to 4). The hydraulic pump, with its mechanical movements, creates a flow of oil to satisfy a given pressure demand at a precise time. The hydraulic pumps supplied are extremely compact, reliable and quiet running. The Italwinch hydraulic system may have three sizes of tank: 50, 80 and 150 L. The size is related to the number of user groups. The main purpose of the tank is to contain oil for the entire system, to filter out any impurities and to cool it. The hydrotank kit includes: aisi 304 painted stainless steel tank/heat exchanger/return filters/visual and electric level indicator/ TCO500 filler cap/ temperature sensor/stainless steel joints.